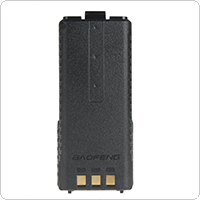 This is original BaoFeng UV-5R battery. 100% new, factory packed and never been used. It has 1800mAh high capacity, small in size and easy to recharge. 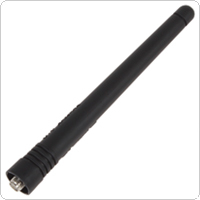 This 16.6cm BAOFENG dual band antenna has high gain and high stable. With 136-174MHz / 400-520MHz frequency. 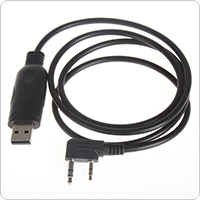 Compatiable with Baofeng BF-UV5R / Plus BF-UV5RA / Plus BF-UV5RE / Plus UV5RB / UV5RC / UV5RD. 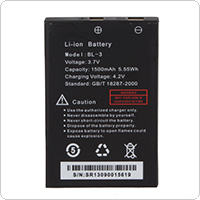 The BaoFeng 7.4V 3800mAh Li-ion Battery for the UV-5R provides twice as much battery life as its smaller predecessor. It simply slides onto the back of the radio and locks in place. Because the battery is flat it makes the radio easy to hold and gives it a professional appearance. With this battery you won't have to deal with a large clucky battery pack anymore. 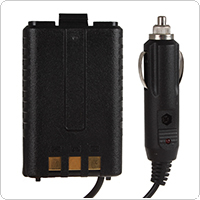 Simply charge the battery and clip it into place to begin using your radio. 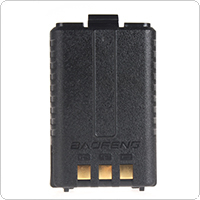 Design as BaoFeng UV-5R radio back battery, the car charger fake battery eliminator is perfect for Baofeng UV-5R. It can supply power to UV-5R directly from car, bus, truck, taxi,etc. 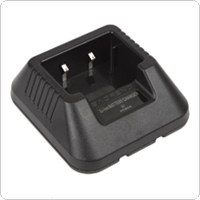 This is a li-ion battery charger and it is specially designed for BaoFeng 5R series walkie talkie. It comes with a charging indicator. Safe and easy to use. Very practical. It's a dual band ham radio battery compatible with Baofeng UV-3R, UV-3R Mark 2, UV-100, UV-200.You can own one for replace or for a back battery. This earpiece uses high elastic environmental PU wire, so it is very solid and durable. With the characteristics of anti-noise, even if the environment noise signal is not affected. 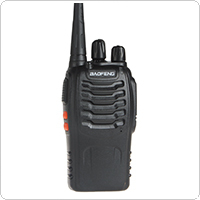 This Baofeng BF-888S is a great long range Walkie Talkie (handheld transceiver) for you! It can bring huge convenience for you to communicate with each other in a long range about 6km. It has the following function: Squelch level / Time-out timer / Scan/ Vox / Emergency alarm / Battery low alert / Monitor / Busy channel lock-out / CTCSS / DCS!